Graduating from college is definitely a lot scarier than it seems. You have been working hard towards that goal, and you have had a clear path in which your life was heading up to this point. Now the future seems a bit less secure and planned out. But this is not a bad thing, it is actually exciting and leaves a lot of space for self-exploration and experience gaining. And one of the best options is starting your career abroad, not only will you get to travel and learn about a different culture, but you will also be able to add a new language to your resume, as well as some valuable skills. Now there are different options when it comes to job selection abroad, we will cover some of the more popular ones in this article, and you can decide which one suits you the most. So let’s start! Considering that this is one of the most popular options for college graduates in most developed countries in the world, why not try it abroad as well. Opting for an entry-level job abroad will not only provide you with a great experience and skills to add to your resume, but it will also enable you to live abroad and experience life in a foreign country. It might not be paid great, but for someone starting out with zero experience, it is the perfect option. It will test your adaptability, language learning skills and most importantly organizational skills and teamwork. There is so much to gain from a hospitality job, and most of the things you learn can help you navigate through company structures later in life. So start browsing now. First, select the countries you would most like to work in and then zero in on the jobs you could apply for. Teaching is definitely a great option for a number of reasons. First of all, you will get to spend time with young and inquisitive minds and learn as much as you teach. Secondly, there are a lot of options when it comes to subjects you can teach, but a language is still the most preferable one. Numerous postgraduates from English speaking countries end up teaching the English Language throughout Asia and Africa. For example, in Hong Kong there are great schools like Monkey Tree for TEFL certificates, there you can gain experience that you need, further your language teaching skills and get to know this wonderful city and its people. 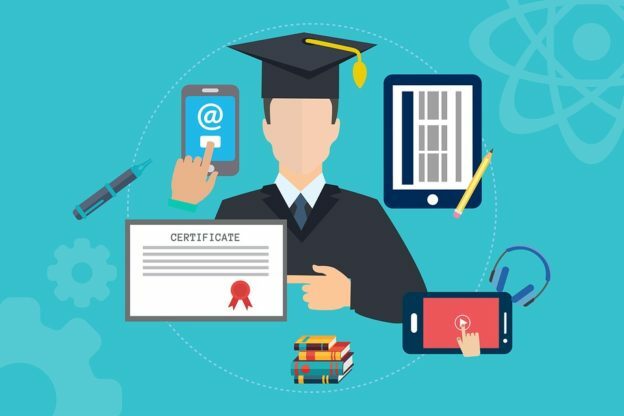 You can also opt to attend a local language course so as to broaden your knowledge, and at the same time improve your ability to transfer knowledge to your students. Teaching language in U.A.E., China or South Korea can at times be quite lucrative, and you can end up paying off your student loans far more quickly than you’d expect. Working as an au pair abroad is always a great option for recent college graduates. Of course, you need to live kids if you want to try this job out for size. Being an au pair helps you develop a lot of useful skills, from empathy to patients and organization. You will be in charge of something most precious any parent can have, so there is no shortage of responsibility. But you also stand to gain a lot, not only are these types of jobs paid well, but you will also have the opportunity to learn the local language and customs, as well as to participate in the family daily routines and activities. You’ll get to see first hand how people of this country live, what are their values and viewpoints, and how they perceive the world around them. This can be an eye-opening experience, it can broaden your views, make you aware of the world around you, and ultimately make you a far better professional further down the road. So there you have it, top three job options if you decide to go abroad after graduation. This option might seem a bit scary, but there is no better way to gain much-needed life experience than leaving your comfort zone and exploring the world. This entry was posted in Industry Update and tagged childcare, jobs, teaching on January 31, 2019 by James. Running a company is a process that’s supposed to earn you money, yet, even the most low-cost of businesses (simple drop shipping e-commerce operations) have some starting costs. Most other business models come with regular costs (a lease on office space, employee salaries, utilities and more). In other words, you need some operational cash flow to keep it all running and there are ways to make this more reliable. A lot of businesses find themselves in need of a debt collecting agency when, in reality, they were supposed to think about this problem a lot earlier. One of the ways to avoid this problem is to conduct a credit check on customers, especially if you’re in an industry with an unusually large value of an order and have a payment system that comes in many credit payments. Sure, this may take a lot of time, effort and resources, yet, it can help you avoid the scenario in which your credit payments aren’t arriving in time, or aren’t arriving at all. Previously, we’ve mentioned the fact that it’s best to avoid the need to collect debt, if possible. However, the problem lies in the fact that, sometimes, such a thing won’t be a possibility. Think about it; every person with a bad credit history has had one point in their life when their credit history was still flawless. In other words, just because they were always responsible when it came to their payments in the past, that doesn’t mean they’ll keep up with this practice in the future, as well. In that case, you might be compelled to hire services of a debt collecting agency. Fortunately, this practice is nowhere near as bad as it sounds, seeing as how it comes with numerous benefits of its own. So far, we’ve talked about credit payments that are either late or not coming. However, what if these payments are coming in time, yet, you need the entirety of the money right away. In that case, you might want to try and sell some of those account receivables. This is a scenario where you get to sell your invoices to a factoring company and get the majority of their full value right away and a small part once the factoring company receives the money. Of course, they keep a small fee in exchange for their service. This nonetheless is a lot closer to selling your assets than getting a loan. Sometimes, you’ll need the money right away, however, this might not be the money that you have on paper, like was the case in previous examples. You see, a lot of businesses simply need more cash to stay afloat before their business becomes profitable. For a business to become self-sustainable, it sometimes takes between six months and two full years, which is the amount of time that a lot of first-time entrepreneurs tend to underestimate. In this case, your safest bet may lie in the idea of applying for no security business loans. The last thing you need to do is encourage those who want to pay for the full value of the order (in cash or by using an electronic payment) by offering different sorts of incentives. Sometimes, this can be an additional offer to sweeten the pot, while in some scenarios, you’ll be offering them a chance to pay less. The net result will be similar to when you’re selling your invoices but the procedure will be a lot simpler and you’ll have your money even faster. 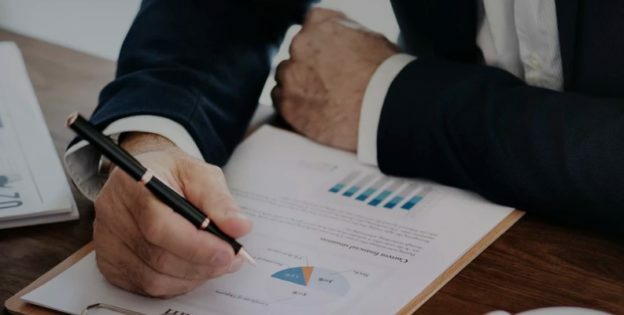 At the end of the day, improving your operational cash flow is a tricky business in which you’re bound to encounter numerous solutions, each of which has its advantages and downsides. In any case, you have a problem that needs to be resolved and you have to pay in order to solve it. Now, whether you pay a debt collecting agency, factoring company, or return interest to a lender is up to you. Just keep in mind that this is a necessary expense for your business to stay in the game. This entry was posted in Industry Update and tagged Business, cash flow, customers, invoice on December 31, 2018 by James. Every successful entrepreneur knows that their personal life might affect them professionally. This is why they also understand that a boost to their personal life (that often comes from various gadgets), might also come to reflect on the performance of their business. In a competitive environment, even the tiniest of advantages can make a stellar difference. With that in mind, here are several ways in which tech-savvy entrepreneurs exploit this phenomenon to their benefit. As an entrepreneur, you’ll have to be the first one to arrive in the morning and the last one to leave at the end of the workday. 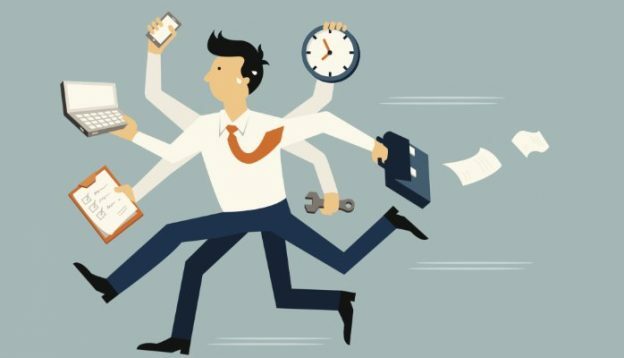 If you add to this the fact that you simply have to leave some room for your friends and family (work-life balance is crucial), it will become more than apparent that you won’t have much time for sleep. Still, while the quantity of sleep is what it is, the quality can be improved with a purchase of a smart mattress. With the aid of such a mattress, you can fall asleep much faster, wake up without an alarm and keep tabs on your sleep. This last part is more important than it may sound, seeing as how a lot of people with a sleeping problem might not even be aware of what the issue is. All they know is that they get up as tired as they had been when they went to sleep, but they fail to recognize the cause. The next thing you need to understand is the fact that in order to keep your mind sharp, you can’t afford to allow your body to hold you down. Now, as an entrepreneur, it’s not that uncommon that you spend an entire day on your feet, in which case feeling guilt over not working out might be quite unfounded. One of the best ways to get ahead of this issue with a gadget is to get an Mi Band 3. 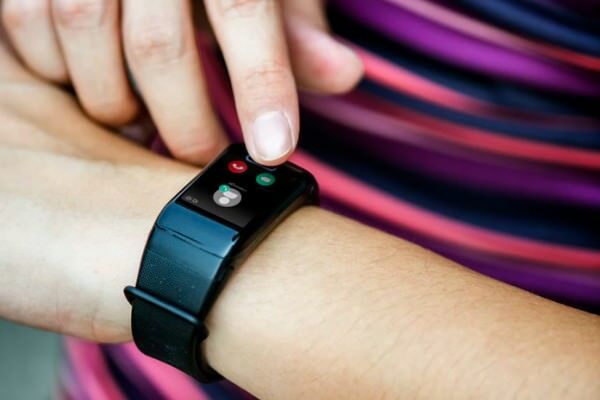 Truth be told, this is as much of a health gadget as it is a fitness gadget, seeing as how it measures your heart rate, sleep quality and controls several other aspects of your health. The battery can hold for up to 20 days, which means that this is not something you’ll have to worry about very often. For an entrepreneur, one worry less can be a major boon. Smart suitcases have taken the business travel to another level. First of all, a smart suitcase is break-resistant, which is a huge plus for someone who travels a lot. Second, it comes with a GPS, which, due to the fact that these suitcases often contain vital information, is more than important. Lastly, there’s a slot for a portable power pack to be stored, so that you can use your suitcase as a portable charger. This alone can prevent you from having to make unnecessary stops on your daily itinerary. In other words, this also saves you quite a bit of time. Finally, you need to understand that someone with a lot of entrepreneurial spirits refuses to leave anything to the case, including the temperature. If there’s such a thing as the optimal work temperature, you can use a smart thermostat to set and keep it there in the most power-saving manner possible. While this may not seem like that big of a deal, it sure does make a difference. At the end of the day, there’s one thing that’s quite obvious – all of these gadgets save time by making you more efficient in vital activities that you can’t afford to do for too long (or even as long as you should). Of course, we’re not suggesting that a smart mattress can replace hours of sleep or that you can instantly get in shape by using an Mi Band. Still, as we have already stated in the introduction, every little bit helps, and a little here and there goes a long way. This entry was posted in Industry Update, IT Industry and tagged Entrepreneurs, gadget, smart, Tech-Savvy on December 4, 2018 by James. A strong brand can both withstand the test of time and yield some immediate results. However, if we’re talking about a social media brand, you need to change the way you look at these things by quite a bit. First, you need to know exactly who you’re talking to. Second, you need to find an angle that will allow you to portray your brand as unique. Finally, you need to keep measuring, testing and tracking everything in order to ensure that you’re on the right path. If not, this will give you an opportunity to pivot in time. So, here are several tips you need to keep an eye out for. When it comes to building a brand, it’s all about awareness and relevance, which is why even vanity metrics matter. However, you need to ask yourself whether it would be better to focus on those metrics that really help your business make that extra step. We’re talking about the duration of visit, engagement rate, conversions, activity and reach. Some of these metrics can be tracked quite effortlessly. However, there are some that might require a specialized tool. We’re talking about brand mentions and similar, a tad more abstract terms. The ultimate goal of every brand is to make a buyer feel like the member of the team. We all know the “Is Pepsi ok?” meme, which is a unique case where the consumer is so loyal to a brand that they tie their identity to the product. In fact, they are even ready to get offended if someone suggests they should try something else. The online beef between Android and iPhone users is another great example of how this works. One of the best ways to get there quickly is to allow users to become an active part of your campaign. The simplest way to achieve this is to include UGC in your marketing campaign. The next thing you should consider is the idea of leaving branding to a professional branding agency. This is particularly true if you have a specific market in mind, instead of just working on a generic global presence, like it happens most of the time in the field of e-commerce. For instance, if you’re looking to start a business based in Victoria, looking for a brand agency from Melbourne would speed up the process. Why? Well, because they already know all there is to know about the local market and will have a lot easier time processing all the vital information. Another thing you need to understand is the psychological benefit of using influencers. Sure, it’s more than obvious that these people are promoting your brand because they have an agreement with your brand, nonetheless, it’s still easier to trust their praise than a brand that’s shamelessly self-promoting. This alone would be a reason enough to hire influencers. Aside from this, you also have to keep in mind that people who have a certain reputation in the business world aren’t too eager to get associated with a brand that’s going nowhere. This comes as a form of affirmation, on its own. Finally, give your users a reason to leave reviews and ratings. Remember, even the most illiterate, poorly written and vague reviews still get seen as more credible than paid ads. Of course, no one states that they’re more effective, that they give you bigger reach or that they give you a superior ROI. Nevertheless, they do give you that extra bit of legitimacy that you just might need. At the end of the day, you need to understand that brand recognition and brand awareness aren’t one and the same thing. Brand recognition comes down to people just recognizing your brand name and logo, while brand awareness consists of a bit more knowledge about your business as a whole. For the time being, any of the two will do but in the long run, you should always aim for awareness. This entry was posted in Industry Update and tagged brand, influencers, metrics, Social Media, UGC on August 22, 2018 by James. Finding the right candidate for your company is never easy. Not only that you have to make sure that the person you hire can help you lead your company to success, but you also need to find someone who’s going to represent your brand in the way you want them to. And if you lack experience as an interviewer, you may not always be able to recognize such a candidate. 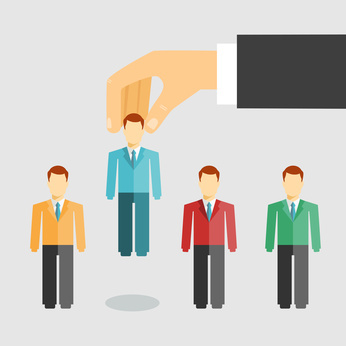 That said, we have come up with five tips that can help you choose the right candidate for your company. When running a business, you need to have someone who shares your ambition by your side and that’s why hiring a career-oriented person is recommended. 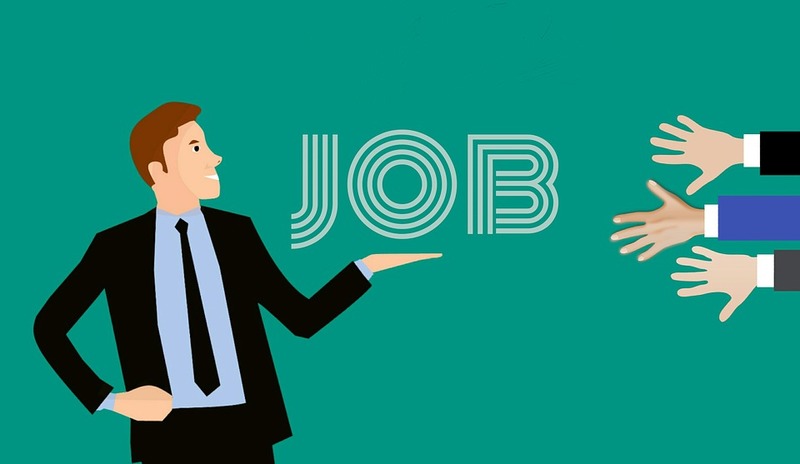 If a candidate has switched a lot of jobs recently, it means they’re not sure what they really want to do and chances are they won’t be staying with you for long. Therefore, looking for someone who will view the job in your company as a way to advance their career is a good idea. Think about the position a candidate is applying for and make sure they have all the right skills for it – simple as that. Of course, the skills you’ll be looking for depend heavily on the work they will be doing. For example, if you’re hiring an employee for your customer service team, you might want to look for someone who’s polite and talkative. And in case you’re hiring a manager, you need someone with good leadership and decision-making skills. 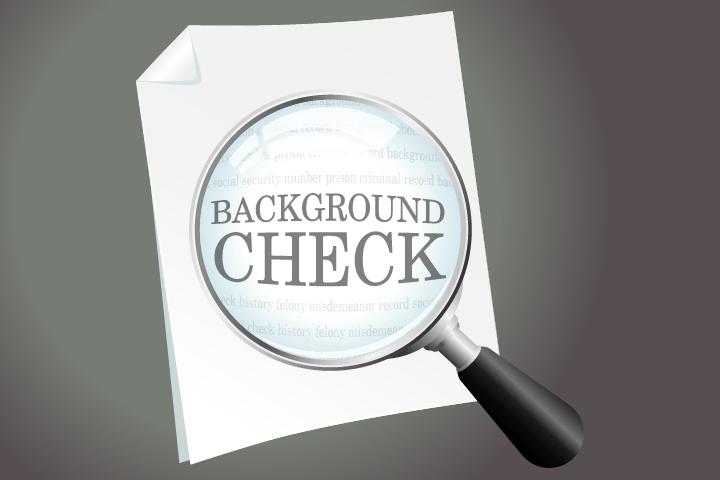 We all use social media and platforms like Facebook and Twitter can be a great tool for running a background check on your candidates. Sometimes, a candidate’s tweets and photos might just be able to tell you whether they’ll fit in at your company. Some people keep their social media profiles private, but it’s worth taking a shot. If a candidate has a LinkedIn profile, you can use it to check whether everything in their resume is true. While social media can help you determine what kind of person a candidate is, there are more background checks you need to run before hiring someone. Firstly, you need to contact their previous employers and check whether everything in their resume is true. Once you do this, you might also want to get a police clearance certificate for any candidate you wish to hire. That way, you’ll ensure you don’t hire anyone who can hurt your company’s reputation. When hiring, you always need to make sure you opt for someone who’s a good cultural fit for your company. This means you need to find someone whose social skills aren’t going to disrupt the atmosphere in the office. Ideally, you’ll find a candidate who can add to it. This is where you’ll want to ask interview questions that’ll help you figure out whether a candidate is prone to conflicts at work. Talking to their former employers about it should also do the trick. With these five tips in mind, you should be able to choose just the right candidate for your company. Even once you make your final decision and hire someone, keeping a close eye on them during the first couple of weeks is an absolute must. This entry was posted in Industry Update on April 18, 2018 by Lachlan Voughters. No matter the marketing guide you decide to check out in 2018, chances are that you will encounter terms like influencer marketing, VR and AR marketing, as well as more than a few digital marketing terms. 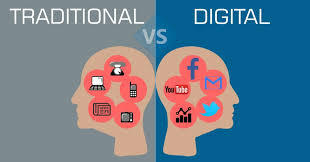 Of course, we are living in the digital world and these trends do more than bring positive ROI, but, what about the traditional marketing? Did it suddenly become obsolete once all of these new trends emerged and got empowered? Of course not. Here are top five traditional marketing techniques that will still be in use in 2018. In the age of IMs, conference calls and emails, why would anyone ever meet in person, right? 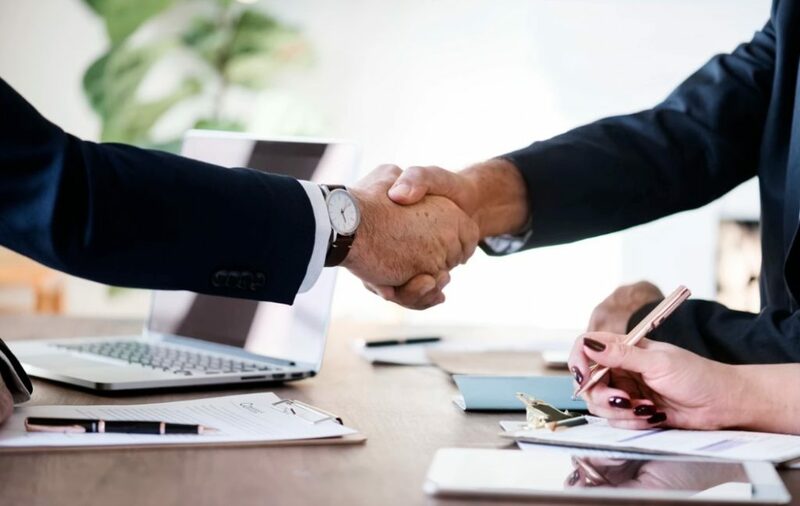 Well, when it comes to the B2B outreach, scheduling a face-to-face meeting with your potential business partners can have a massive impact on your trust-building efforts. Furthermore, taking up some of your valuable time to check in on your clients in person may make a huge difference in the way in which they perceive your commitment to them. Another powerful B2B tool is telemarketing. You see, the email you’ve sent to your clients might have been a template you’ve used a thousand times, or something quickly drafted by a person at an entry-level-job within your organization. On the other hand, a well-structured telemarketing call, consisting of effective questioning, efforts to get the next step commitment and even scheduling the call appropriately can make all the difference in your brand’s public image. When doing a research about content marketing, one of the first tips that you will receive is that you need to make content that brings value to your audience. Now, this isn’t as nearly as difficult as it sounds but it is definitely something that is achievable more easily with promotional material. By giving someone a promotional hat, an umbrella or a t-shirt, you are actually giving them something practical, something that they’re actually going to use. Furthermore, by ordering large quantities of promotional material, like going with bulk t-shirt printing, you will get a surprisingly great ROI. The thing about marketing is that it doesn’t end once a person closes a deal or buys something from you. Why would it? About 27 percent of people who purchase from you have a chance of coming back, while people who purchase something twice have a 45 percent of chance of returning for the third time. In other words, by finding the right tool to engage them in this post-sale segment of the buying cycle, you can easily transform them into return customers. Handwritten notes are a more efficient, more personal version of an email that can do wonders in this field. 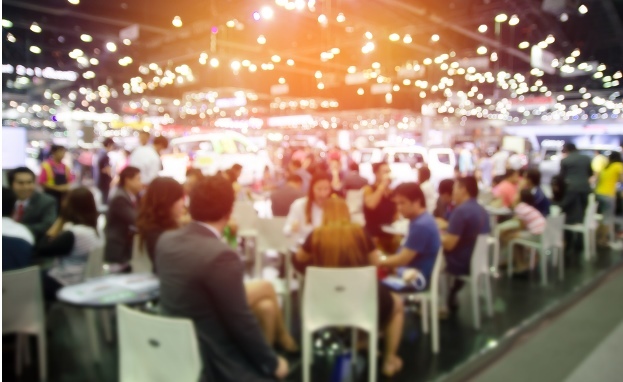 Finally, going to industry events and just mingling with your peers is a great way to establish personal contacts which could, in time, grow into partnerships. Sometimes, even people who may appear to be your direct competitors end up being your closest allies. For instance, a large company with a workload that their infrastructure can’t support is more likely to redirect their clients than just drive them away. By nurturing great relations with their management, you are increasing the chance of that excess work being sent your way. At the end of the day, the fact that these five techniques are still in use and that they are as effective as ever doesn’t mean that you should use them instead of digital marketing. This kind of false presumption is what leads to 50 percent of small business not having a website even in this day and age. What this means is that you shouldn’t write them off as obsolete just yet. On the other hand, by combining them with digital marketing you can perhaps get the best of both worlds. This entry was posted in Industry Update and tagged marketing, ROI, traditional marketing on December 27, 2017 by James. Owning a startup is one of the best ways to start climbing up in the business world and when you look at some of the today’s most successful companies, you’ll notice they actually started as startups. This means you too can become a success story, but only if you’re willing to strive for greatness and actually know what to do. Promoting a startup might not be the easiest part of the job, yet it’s something every business needs, so here are some of the most effective techniques you might want to explore. The biggest problem lots of startups are facing at the moment is not having a clear vision of their future. The CEO’s know they want to make a living first and earn more and more money later – which is ultimately why they started a startup in the first place – but they’re not sure what to do. That’s why you must make a viable business plan for the years to come and know what you’re trying to accomplish. Writing down your goals and working towards realizing them every single day is the only way to actually do something in this dog-eat-dog business world. We can’t stress this enough: you simply can’t own a company in the 21st century without a website! Although everyone should be aware of this, there are lots of people who think otherwise, yet nobody’s ever heard of them. Why? Because they don’t have a website! Yet a number of startups still think this is too expensive, so they aren’t willing to set some money aside for a website. However, if you scratch the surface of the Internet, you’ll find tons of inspirational and helpful things that will make your job easier – just find a way to use other people’s experience and you’re already halfway there! This is another amazing way to get the word out and make people know about your company. Moreover, social media is free and you basically won’t have any trouble using it, even if you have little or no experience with Facebook, Twitter and Instagram. If your website has quality content and you’re offering something other companies in your area aren’t, building a social media presence is easier than you think. In the end, this is important on several levels – it reaches new audience, helps your customers identify with your brand, enables quick communication, etc. – so explore all the options social media platforms are offering. This is another easy way to advertise yourself and a minimal investment can really go a long way here. Whenever you’re meeting potential new partners or important clients, a promotional gift or two will make a powerful statement and let them know how seriously you take your job. These gifts are often simple and inexpensive, but also quite practical, which is why everyone loves them. 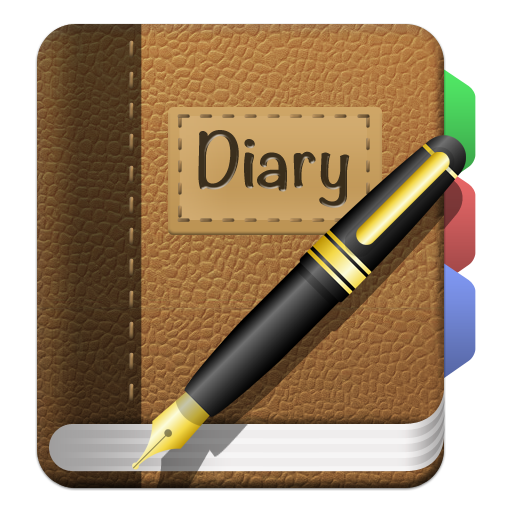 For instance, a couple of elegant diaries from Aussie Custom Diaries that feature your brand’s logo will surely spread your message to new clients and partners effectively. One of the reasons so many startups fail is because they focus just on one age group and ignore everyone else, deeming them unworthy of their time and investment. However, not only is this way of thinking wrong, but it also makes zero sense if you want to run a successful business. Therefore, think outside the box and change this paradigm by appealing to all age groups equally because you can never know how popular your service or product could be with the elders or teenagers. Promoting a new startup is always hard and if none of these ideas seem to be working, just find other options. Some of the most popular ones include launching a guerrilla marketing campaign, offering discounts for regular customers and focusing on the word-of-mouth marketing in your own neighborhood as all of these will turn your first-time clients into recurring ones. This entry was posted in Industry Update on October 23, 2017 by Lachlan Voughters. Spending your working hours in an office may involve your dream job. However, it can still be difficult to maintain productivity in such an environment, and even harder to boost your performance. Therefore, it’s important that you put some effort into your own mental and physical health as well as the way your working area makes you feel. The following tips may sound simple, or too good to be true, but they actually work wonders for improving your concentration and productivity at work. 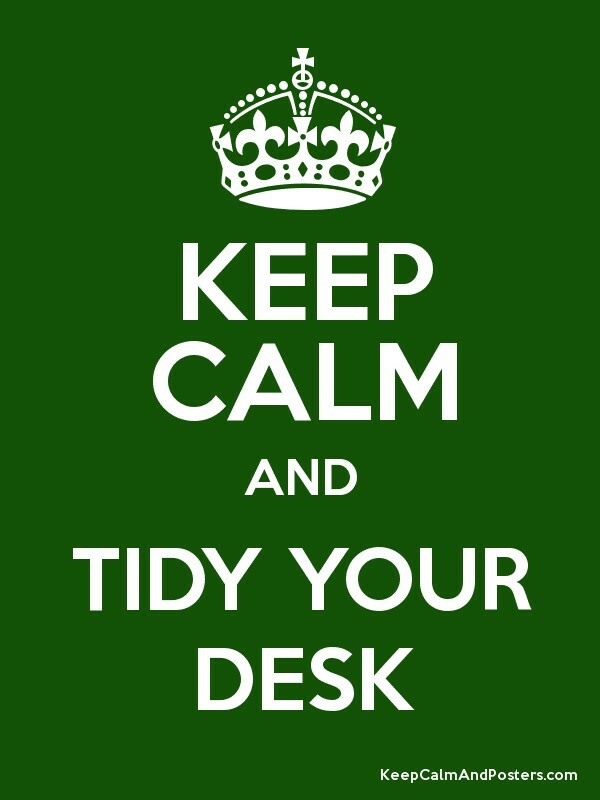 Never let clutter take over your desk, working area or your desktop/laptop. In general, you want to make sure that everything you need for work is neatly organized in your drawers and your desk surface. The same goes for your icons and folders on your computer as well. When you have to go through a mess in order to find that one thing you need at that moment, your productivity is bound to drop. After all, this will break your focus. Moreover, clutter is known to increase stress, which is something you want to avoid at all costs. Has it ever happened that you simply forgot to tend to all the tasks you had planned for the day? If it has, and it affected your work performance at some point, it’s time you organized yourself better. In fact, this is nothing too difficult. You can take some time during the weekend to write out everything you need to get done during the following week. Of course, beside work-related tasks, include all your responsibilities outside of work that you can recall as well. You can write everything in your planner, or you can use post-it notes on a corkboard when you go to work on Monday. This is a great way to keep all your tasks in check and never forget what you have to do. What’s more, this will help you plan out your days properly, so that you have time for everything. It is definitely a sure way to improve performance. You may not like hearing this, especially if you have to sit at a desk, in front of a computer for hours, but the undeniable truth is that a healthy lifestyle is key to maintaining and boosting productivity, as well as good mood. In that respect, adding fruits and veggies to your diet, ditching foods that are obviously not good for you, and exercising regularly is a must if you want to be up to the task of staying productive. Remember, even 5-10 minutes of regular physical activity is enough. There are also plenty of deskercises that you can try out while at work. Positive energy that will boost your productivity and overall performance is not the easiest thing to come by. Therefore, you have to create the perfect conditions for yourself in order to be able to enjoy your time at work. Together with décor, music can make a world of difference when it comes to focusing and putting more effort into the task at hand. With that in mind, make sure to find the tunes that work the best for you personally. Obviously, you mustn’t disturb other people, so make sure to get a pair of good-quality and comfy in-ear headphones that will help you relax, but also achieve the focus you want. Sterile and impersonal work environment is never going to boost your performance and productivity effectively. While it’s true that you don’t need plenty of knick-knacks and accessories lying around, as they will just make a mess and distract you from work, you should still try to make your work space your own. Stationery that you like, a photo of your loved ones, comfy seat cushion and a plant you find pleasant to look at can actually do wonders for how you approach work and handle all the tasks. In order to improve your work performance, it’s important to realize that work is not everything you’ve got. Don’t forget to take the time to relax and enjoy your hobbies outside of work as well, in order to feel accomplished, fulfilled and ready to make the most out of every day. This entry was posted in Industry Update, IT Industry and tagged headphones, Performance at Work on October 23, 2017 by Lachlan Voughters. The omnipresence of internet has sparked a lot of debates about the traditional media, making us wonder: Are the newspaper dead? Is there no more need for the printed books? And finally, did digital marketing defeat the traditional forms of advertising? It makes sense, advertising your product on the web is free or costs next to nothing and it gives you a chance to have a more personalized approach to marketing. However, that doesn’t have to mean that the old-school marketing doesn’t have anything to offer any more. In this article, we will try to determine the difference between the two, the benefits of each of them, and the possibilities of combining the two. There are many methods of traditional marketing, and they include tangible advertisements, such as posters, brochures, flyers, business cards and print ads in magazines and newspaper. Commercials on radio and TV are also considered a form of traditional marketing. Additionally, promotional products, referrals, and reward programs can also be classified into this group. It is difficult to precisely define digital marketing since it grows and develops each day with the advancements of technology. Some examples of this new way of marketing are social media mentions (page, posts, games, etc. ), websites, YouTube videos, blogging, as well as search engine optimization and banner ads. Digital marketing is currently more popular because it requires fewer investments. Traditional marketing is still something that people are accustomed to, and that’s why they can easily understand and relate to it. This old-school marketing method enables businesses to reach a local audience with ease. Besides, the promotional materials can be kept for future reference, so you don’t have to google for company info every time you want to make a call. One of the primary flaws of the traditional marketing is that there is not enough interaction between the customers and the used medium. The medium is used merely to provide information without asking for feedback. Also, as we have already mentioned, these marketing materials can be very costly. 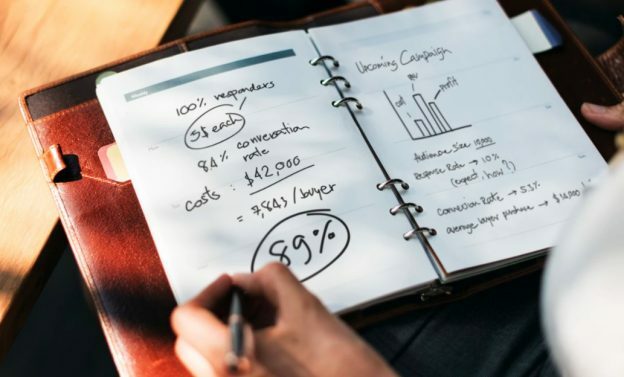 And finally, it is very difficult, not to say virtually impossible, to measure the results of a marketing strategy which employs traditional marketing approach. 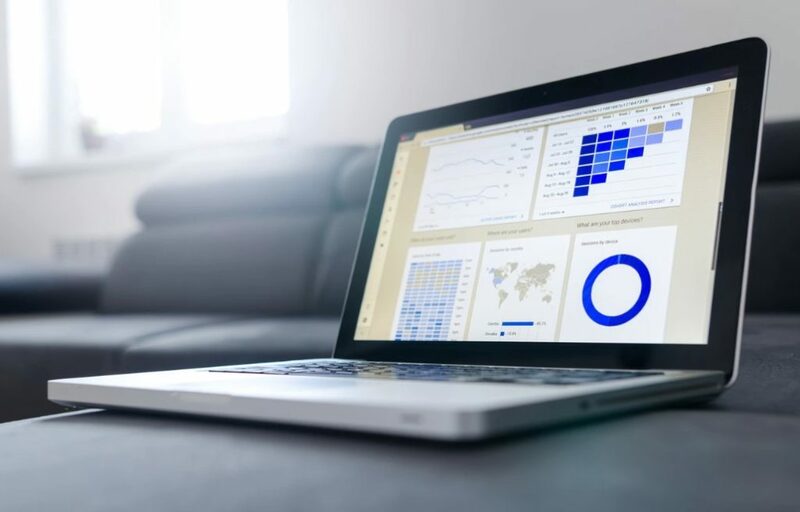 Digital marketing allows you to target an international audience, as well as to tailor your campaign to specific properties, such as age, gender, location and interest. The audience has a say in receiving the product and they can also provide a meaningful feedback. It is cost-effective and the competition is less relentless. Above all, the results are immediately measurable. Even though it seems like a DIY arena, digital marketing can fool you into thinking you can do everything on your own. However, given that online marketing includes a multitude of fields and potential strategies, that is virtually impossible. Fortunately, there are plenty of experienced expert companies, such as The Pipeline, to which you can outsource your marketing sector, at least until you get the hang of it. In spite of being completely different, you shouldn’t be exclusive when it comes to these two methods of marketing; rather, always try to combine them. Since this is a mostly digital-based world, it makes sense to invest more in an online marketing campaign and use hard copy materials to support your online efforts or reach an audience which is not very tech-savvy (e.g. senior citizens). Also, there is one twist on the traditional marketing which rose in the ‘80s, but reached its true potential only today, and that is guerrilla marketing. Some of the biggest successes include UNICEF’s “Be a mom for a moment” campaign, IKEA’s “Everyday Fabulous” and The Sopranos taxi stunt. There is no doubt that the world is changing and that we need to try to catch up. However, that doesn’t necessarily mean that we will renounce everything we are used to. We don’t have to abandon the principles from the past, they just need to evolve and be complemented with innovative methods. This entry was posted in Industry Update, IT Industry and tagged digital marketing, marketing, traditional marketing on September 12, 2017 by Lachlan Voughters. The way people shop changed a lot in the last few years and that’s why each year we’re getting more and more web shops. Nowadays, you can buy practically anything online meaning there’s a lot of competition in the eCommerce business and every good tip matters for eCommerce website owners. Here are the top 10. What sets you apart from your competitors and why would the customers choose you are two main questions to ask yourself. Once you do that, you’ll know your unique selling point (USP) and how to use it. Always keep the customer in mind – your products or services should benefit them, so that can become your most effective tool for advertising. Although internet shopping has been around for a while, people are still dubious about payments and they want everything clean and transparent. Trusted payment options must be on display on your website so make sure you put it alongside the banner. It’s for your customer’s peace of mind – show them they can trust you and they will be yours for good. Having the best site in the world means nothing if people can’t find it online so doing a search engine optimization should be a priority. Do a research on keywords to make sure you use the hot ones on your website, optimize your pages, and be active on social media platforms. Be aware that poorly implemented SEO can damage your business so hiring a professional to do it is a good idea. To avoid your business being declared as impersonal you must include live chat on your website as a good alternative to face-to-face contact. 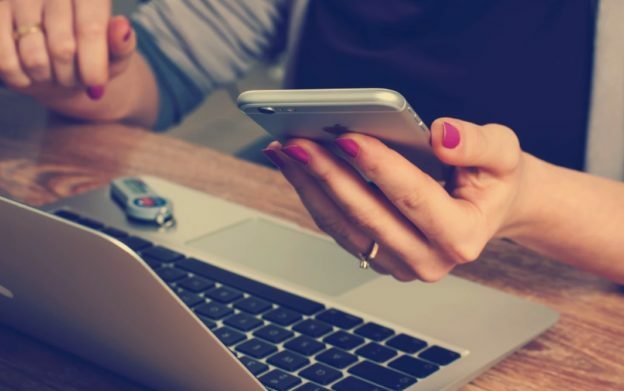 Keep your email and phone number on display (and reply timely) but it’s even better to establish a live chat feature and show your customers you’re always there for them. Nothing beats talking to a real person! Whether you’re selling products or services, making your website visually pretty is essential. No one will decide to buy a product from a blurry or badly photoshopped picture, so pay attention to quality. Your gallery should be easy to navigate while products should be visible from all sides. Zoom option is also great, so keep that in mind when posting your images. If you’re selling products, your biggest problem will be storage, inventory, packing and shipping your goods and that’s why it’s a good idea to leave it to the experts. Ecommerce logistics experts can receive, manage and dispatch your goods so you won’t have to worry about that. It’ll improve your customers’ satisfaction as well because they’ll know their order is in good hands. You know what they say: only those who did something wrong are afraid of the reviews. But the thing is: real people’s experiences are valuable to your business. Nothing beats a satisfied customer since people will always take other people’s words when it comes to shopping online. It’s good for the SEO as well because reviews make unique content for your website thus making the search engines happy. Practice showed that site search users are more likely to convert than the average user so optimizing this feature is a must. The search box should be easy to spot, big enough, and provide autocomplete options for maximum results. There are some other tricks that can make searching your site a better experience, so make sure you take this advice and implement what you can. Anyone who has ever shopped online knows that out of stock is the worst thing you can see on the ecommerce website. Knowing how to deal with this is important because that’s the way to address the biggest issue from the customers’ point of view. If your product is no longer available, link similar items to the page or contact link to the manufacturer so your customers will know there’s hope. For each category you have on your ecommerce website, there should be a detailed guide for shopping. For example, if you’re selling clothes, offering style and trend guides to your customers is a nice idea. If you’re selling wallpapers, providing home décor ideas, tips and tricks is a must. This will enrich the shopping experience and leave your customers in delight. Think of your website as of the heart and soul of your business and make it both pretty and functional. That’s what keeps the customers coming and, more importantly, staying loyal to your business. This entry was posted in Industry Update, IT Industry and tagged ecommerce, Ecommerce tips, Ecommerce Websites on July 19, 2017 by Lachlan Voughters. The concept of digital workplace is not strictly tied to a physical space. More importantly, digital workplace is actually an organization strategy, which helps the employees be at the top of their game as they work. Thanks to the digital technologies used, one can break the communication barrier. Moreover, digital workplace is used to boost the motivation and productivity of the workforce. Basically, it can be very difficult to define a digital workplace. In general, it can be said that a digital workplace combines the modern technologies, tools and the whole work environment so that it can bring out the best from and provide the best to its workforce. 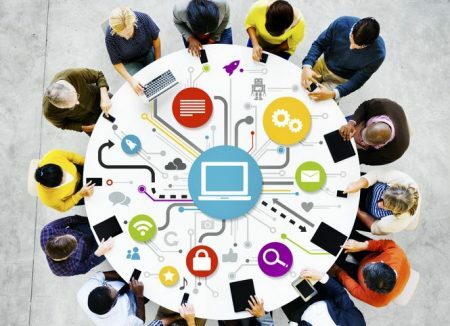 Digital workplace provides easy ways to communicate, exchange information and solve potential problems to everyone involved in a particular work project. This makes everyone’s work a lot more efficient. Colleagues in the office and at home can communicate effectively. Clients and other businesses can be reached instantly regardless of their location. Dynamic situations are encouraged and perfectly implemented into a working day without pressure or anxiety. Thanks to the digital workplace concept, the notion of leadership is getting a bit blurred. Of course, there is a need for a leader. However, the leader is no longer the boss who sits in his own office. Again, modern day digital technologies allow for integrated leadership as well. The “boss” can easily be a part of the team since the team is encouraged to solve problems and make decisions on their own. Moreover, because of the better communication mentioned in the previous paragraph, a lot of issues can be solved before presented to the leader. In that respect, digital workforce operates coherently and dynamically by involving everyone at work equally, which creates a more relaxed and at the same time more productive work environment. 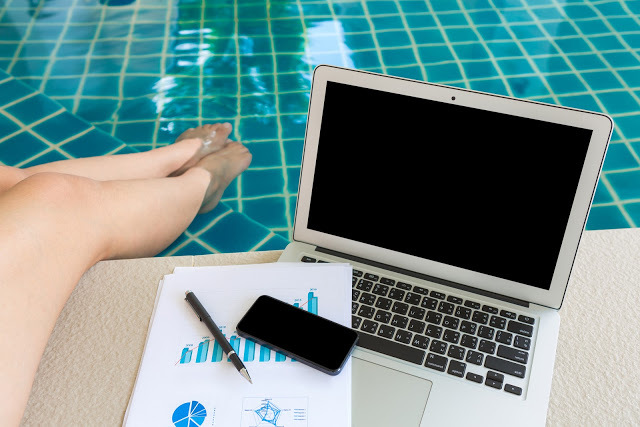 Just like the location is not a problem when it comes to effective communication at a digital workplace, location is not a problem when it comes to work itself. Virtual project platforms, cloud storage and other digital tools make it possible for workers to do their job from any location they want. This is extremely beneficial for companies and employees alike. Companies can hire the best candidates without worrying about their geographical location while employees are not limited to their local job opportunities. Working from home is a great perk for many people, but coworking spaces are becoming increasingly popular as well. For example, a Shared Office Space in Melbourne offers 24/7 membership precisely because of the rising popularity of this particular aspect of a digital workplace. If a digital workplace is completely implemented into the work environment, the need for physical storage will cease to exist. Because of the possibility to quickly store all the important data and information on a cloud, it will be possible to save a lot of space in the physical office. Moreover, any new information will be processed and saved with ease. Because of that, there’s a lot less chance for error as well as less need for time-consuming data organization and filing system. Since digital workplace encourages more independence in problem-solving and decision-making ordeals as well as clearer and more measurable business values together with a better insight into the products and services of the company, digital workplace also allows any business model to be easily tracked and measured. This leaves a lot of room for immediate changes and adjustments where necessary, which saves time, money and resources. Digital workplace is necessary in this day and age. 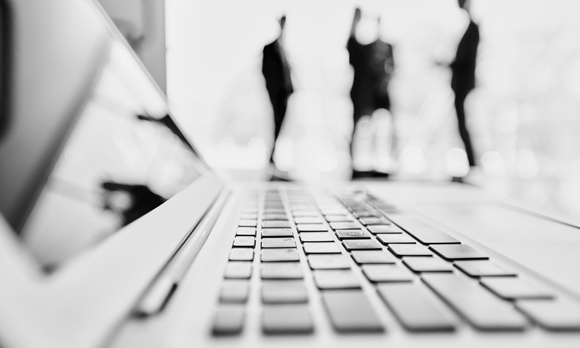 Technology cannot be observed separately from a workplace or an employee anymore. By combining these elements together and making them work as a whole, the workforce’s creativity, productivity and empowerment will lead the business to success. This entry was posted in Industry Update, IT Industry and tagged Digital Workplace, Productivity on July 13, 2017 by Lachlan Voughters. Starting a company is never an easy task. Apart from needing the courage to take the plunge, you also have to be sure that what you want to offer will be interesting to customers and that you won’t make any mistake that might prove too costly. 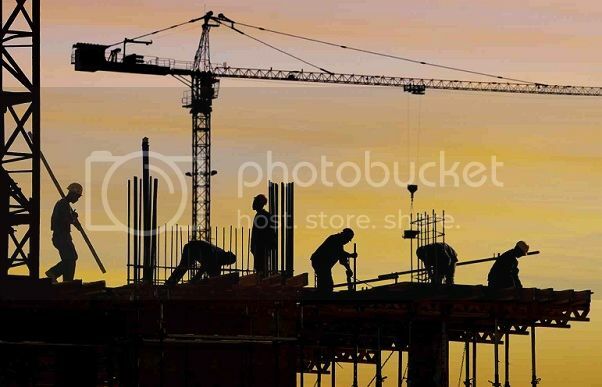 Needless to say, the whole process is quite overwhelming, especially if you’re planning to make a breakthrough in the field of construction industry. Unlike many other startups, a new construction company can’t start with a makeshift office above your garage and an old laptop, which is just one of the problems every aspiring entrepreneur has to take into account. In order to ensure that no major issues have been overlooked, many experts have been compiling various checklists for up-and-coming colleagues. The fact that most of the tips are generally accepted among seasoned professionals means that a young entrepreneur should most definitely pay attention to them. So, let’s take a look at some of the things that are most commonly found on such checklists. Make sure you have sufficient funds. You can’t start a company, particularly a construction one if you don’t have enough financial resources. 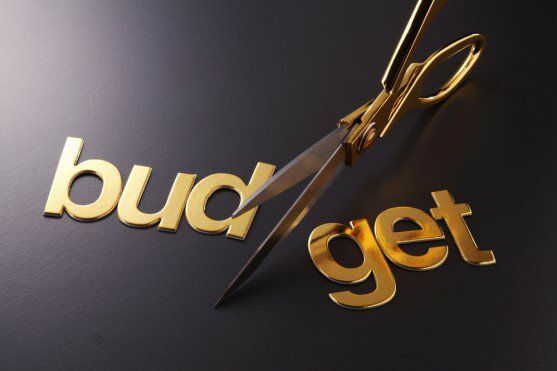 Whether you use your own money or borrow it, not being able to pay for everything you need from the very start would definitely jeopardize the whole project. Get all the papers you need. Apart from registration documents, you are bound to need various licenses to do business. Requirements differ, depending on where you live, but you should definitely have all of them ready on day 1. If in doubt, consult a legal expert about what you actually need and how to obtain it. Sort out financial and insurance matters. Choose a bank to open an account with and have a look at what various insurance companies Again, it might be useful to consult an expert if you’re not quite sure what the best option for you is. Create a team. This doesn’t refer only to experts in construction business, to also to your account, lawyer, banker, insurance agent and all other people who contribute to the daily operations of your company. Create a website. It’s vital that you have a professionally designed website where you can present your offer and later showcase your results. Having a good website is the best possible catalogue of your achievements you can have. Buying vs hiring. Make sure you know exactly what equipment you need to buy and what you can hire and try to find the most cost-efficient way of working. While you might need to invest in buying your own crane, for instance, you might be better off renting a scissor lift. Design business stationery. You really need to give your new company a professional look from the very beginning, which is why you need smartly designed letterhead, business cards and other stationery. Social media presence. A great deal of interaction in today’s world is happening on social media platforms, which is a good enough reason for your startup to be present there as well. Respect the norms and standards of social networks and you might create an extremely powerful marketing tool. Double-check your business plan, with a particular focus on its financial component. In case you’ve made a single mistake, you might not be able to get a realistic picture of your performance. Again, if you feel insecure for any reason, asks someone with experience to go through the plan with you and revise it. As you can see, this checklist contains the most commonly mentioned advice related to starting a construction business. 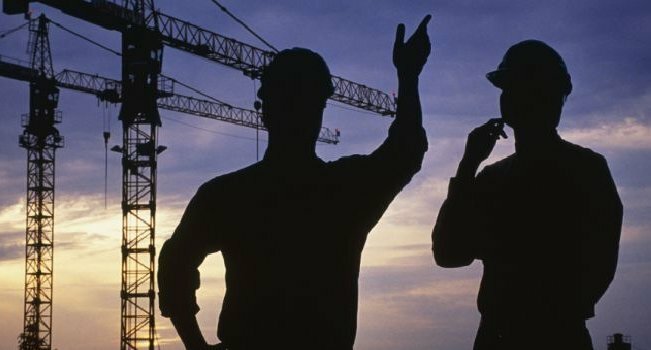 Needless to say, there are many more things one should take into account before starting a construction company, and many of them are very specific and depend on the circumstances. Still, if you follow this simple checklist, the chances of missing something really important are minimized. This entry was posted in Industry Update and tagged Building a Construction Company, industry, Manufacturing, Startup, Startups on July 5, 2017 by Lachlan Voughters. Getting into the warehouse business isn’t something lots of kids dream of nowadays. They all want to be entertainers, IT experts, astronauts and firefighters, and that’s quite all right, but the truth is that the world doesn’t need that many singers and dancers. What it does, however, need are trustworthy and responsible managers in all sorts of fields and one of the most sought-for career these days is in the warehouse management industry. If you’re an owner of an empty warehouse ready to be moved in with thousands of boxes placed neatly on shelves or looking for a new spacious warehouse that will accommodate all needs of your company, there are a few things you need to know. So, here are three important tips for maximizing your warehouse business this year and making some money in the process. This might not seem like the most important thing in the world with a number of other industries, but it’s definitely paramount when it comes to warehouse management. Organization is at the core of this business and you mustn’t get into it unless you can handle organizing items in a strict order and in accordance with several rules. Finally, if your warehouse isn’t neatly organized, your incoming packages won’t be placed in the right spot, while the outgoing ones won’t leave the premise nor arrive at their destination in time. Your employees will be confused and disoriented and, in short, the entire business will go down in flames quite quickly. There are lots of ways to organize your warehouse, but the most important thing to do is to keep the popular products near the entrance – if they’re moving fast, they need to be able to get in and out in the smallest amount of time. Even before organizing and setting up your warehouse, it’s important to come up with a system of placing, stacking and storing your items. 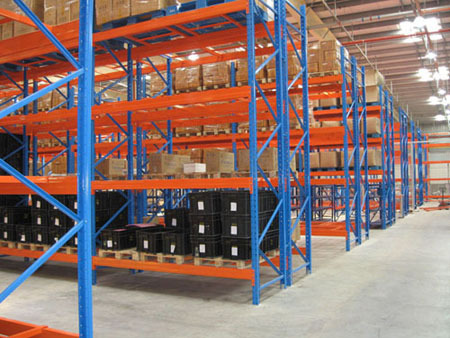 No matter how spacious your warehouse is, you have to make sure the products can be easily accessed and moved around. This way, you’ll minimize the waiting period and become much more efficient, which will, consequently, bring you more and more work and boost your income. 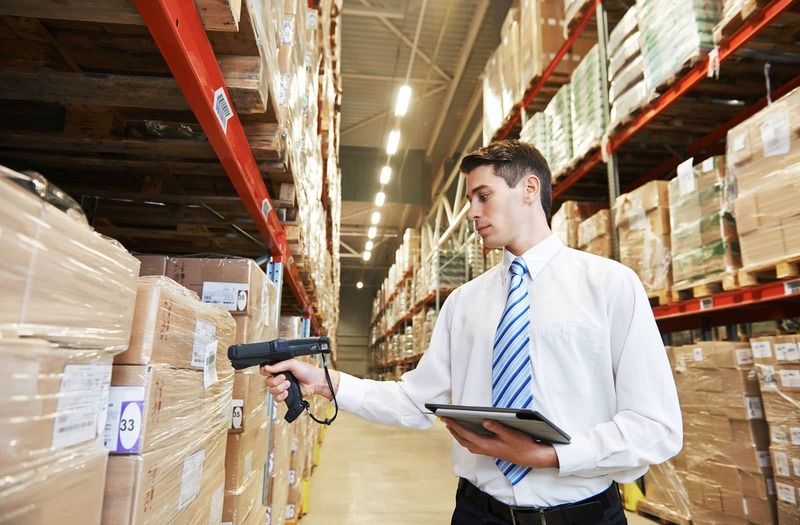 You can even use a warehouse management system software and maximize your productivity without having to come up with any special system on your own. Applying a certain logic to the entire system is essential – depending on whether you generally deal with a smaller number of large products or vice versa, you can either focus on the number of products you get in and out or their size. In other words, your warehouse has to be able to accommodate a bigger number in small packages in the same amount of time as the smaller number of huge packages. And that’s exactly how you should store them – big products in the back, smaller ones in the front. This way, your pickers will always know where everything is and how to find a certain order in no time. The main problem with warehouses today is that their owners are generally looking for a way to make some money quickly and rarely pay enough attention to the quality of the services they offer. And this is where they make a crucial mistake – yes, they’ll probably be able to make a few bucks in the first few months, but potential clients will soon find out how inefficient they are and simply find a better alternative. That’s why you shouldn’t cut corners, especially when it comes to shelves. Being able to stock a large number of products at the same time is impossible unless you have proper shelves. They are literally the backbone of your warehouse and something that will make or break you in the long run. That’s why you need to look into reliable shelving solutions and opt for those that can guarantee longevity and quality. Keep in mind that poor shelves are bad for your business and stay far away from them. Some of the other warehouse management trends you should look into are exploring various cluster-picking strategies, working during the holidays, delivering packages via drones and opting for all-purpose facilities that can be coordinated easily. This entry was posted in Industry Update and tagged industry, warehouse management on June 9, 2017 by Lachlan Voughters. Why Does Cash Flow Have Priority over Profit? Perhaps one of the most frequently asked questions in the world of business is: should I focus on profit, or make cash flow my priority? Although they both play critical roles in your business success, there are some points to be made in cash flow’s favor. So, don’t fall into the trap of putting all your efforts into making profit, since it is not the main indicator of a successful business. There is no denying it is crucial when observing the bigger picture and long term benefits, but while trying to stay afloat in a sea of corporate sharks, you need stable cash flow to maintain financial health. These two different financial parameters have a certain impact on your business. 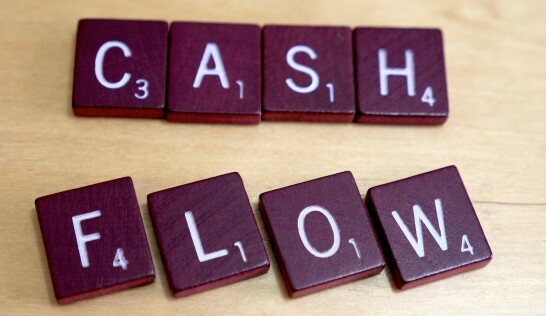 Cash flow is the money that goes in and out of the company from various investing activities. You need it to meet your current needs and obligations. On the other hand, profit is the money that remains from sales revenue after all the business’s expenses are subtracted. To put it in more specific words, if a contract is worth $60,000, and it costs your company $40,000 to provide a good service, your profit will be $20,000. We can use the same example for cash flow. If your client decides to pay you in two stages of $30,000 each, you will send the first invoice and expect your first payment in about 30 days. A month later, you will send the second invoice and like the previous, expect it 30 days after. Assuming you receive the money on the exact due date you will have the cash inflow you need to keep your business running. Have you ever heard of the expression “cash is king”? Well, there is some good reasoning behind it. Without cash, how could you be able to pay staff and buy the necessary equipment and material for your job? Besides, every business reaches a moment when sales are in a slump, and there is no profit in sight. In that case, you need the cash flow to keep you afloat. If one of these situations occurs to you, you can always check out some invoice finance options that can fund your cash flow whenever you need it. This way you can shorten the period of waiting for invoices to be paid, because the company you choose will advance you the cash. In 2014 Inc. magazine published an article about three business owners who were faced with the problem of cash flow squeeze that happened during the period when their businesses were booming. On the surface, fast growth seems as a good thing. However, when a small business grows from hundreds to thousands of transactions per month, it makes the managing team lose their grip on finances. The thing is, when businesses grow, they become more complex, and some rules about billing and invoices become different. Meanwhile, more cash is needed to cover higher taxes, inventory, compliance expenses and debt. So, yes, ironically, as your sales go up, your cash can go down, and this can get you into serious trouble. In order to make it through the business growth, you will need a stable cash flow. The easiest ways to do that is through a proper accounting system and invoice financing. 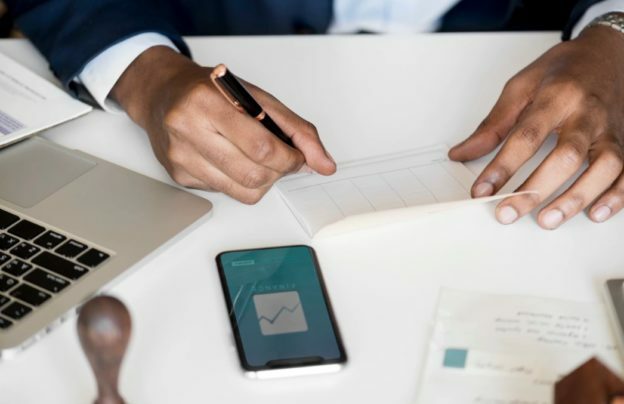 Both profit and cash flow are important financial parameters, but if we would have to give an advantage to one of them that would definitely be cash flow, because without it, your business would be doomed. This entry was posted in Industry Update and tagged cash flow, profit on May 29, 2017 by Lachlan Voughters.